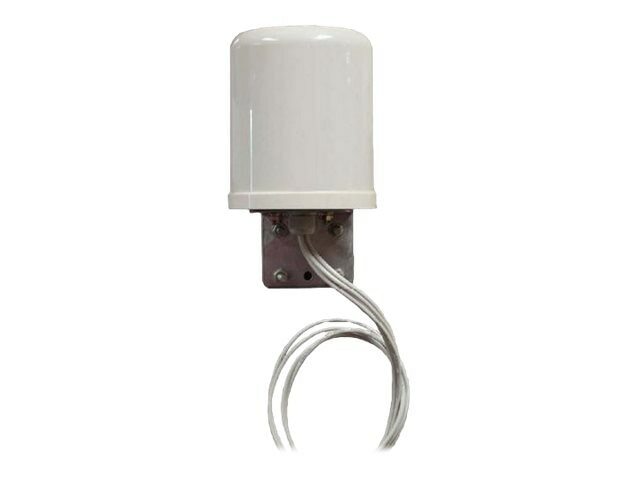 The TerraWave M6060060O23607O 6 dBi outdoor quad omnidirectional antenna offers a four-in-one solution: two diversity antennas in a single unit. This antenna features two integrated 2.4 GHz 6 dBi elements and two 5 GHz 6 dBi elements arranged in one enclosure. The ruggedized enclosure makes this antenna perfectly suited for use in a warehouse or manufacturing environment where it must withstand exposure to moisture and dust.